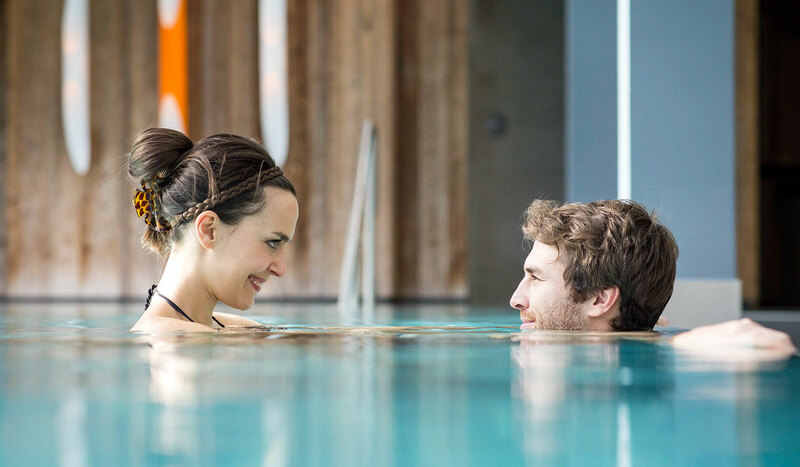 Unwind after an activity-filled day in our new wellness area, where you can take in the breathtaking, panoramic views of the nearby mountains. Pool Featuring a panoramic view of the hotel’s natural surroundings Our pool’s soothing warm water, exciting play of light, and incredible views provide for inner peace and harmony. Sauna Pleasant warmth Relax to your heart’s content during your pleasure vacation. 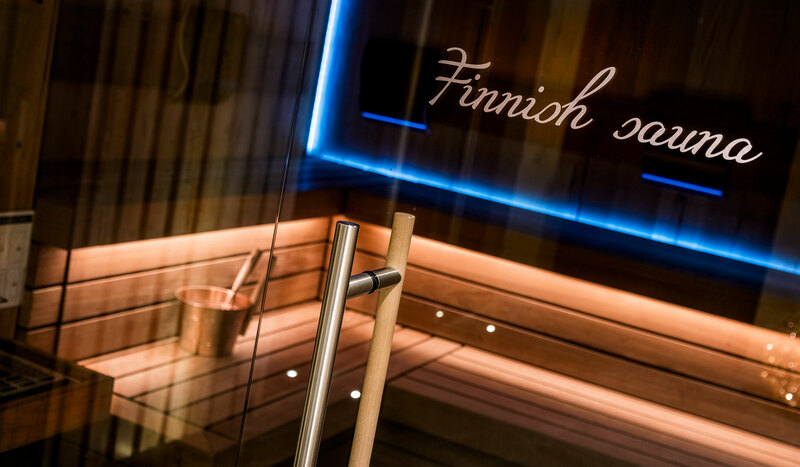 Enjoy a rejuvenating sauna after a long day in the mountains. Loosen tight muscles and gather your strength. Relaxation area & sun deck The warmth and crackling of burning wood After an action-packed day, you’ll want nothing more than some downtime in our relaxation room with its open fire, or outside on our sun deck. 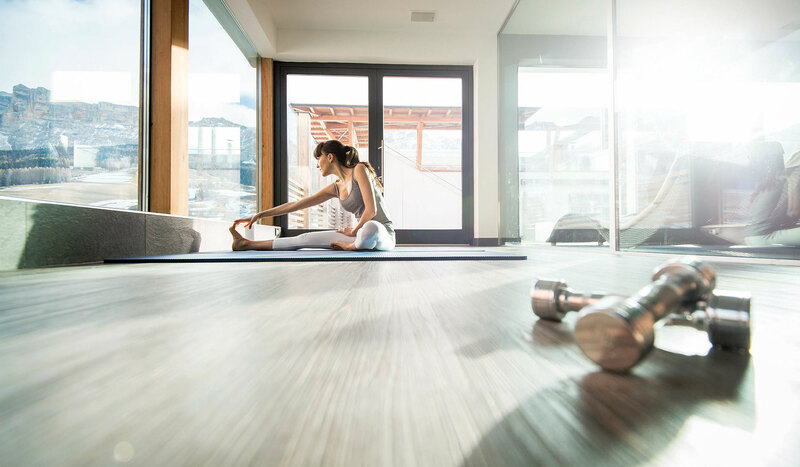 Gym Strong body, strong mind Our gym is the perfect place to loosen up even more as you take care of your physical wellbeing. After all, just because you’re on vacation doesn’t mean you should have to skip a workout! 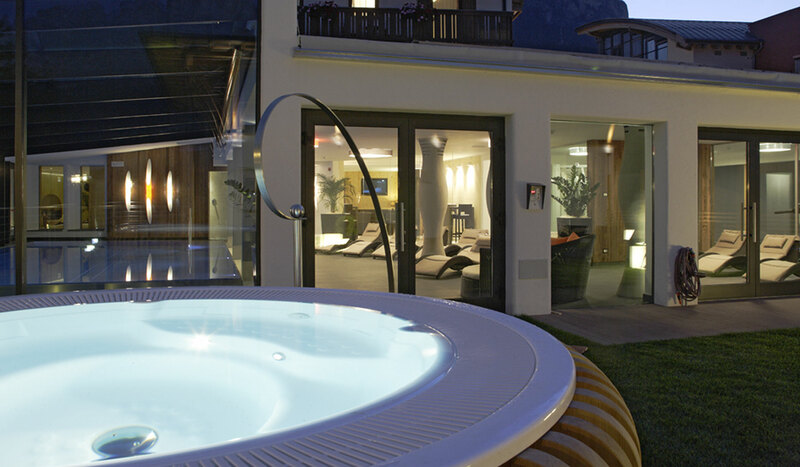 Whirlpool Feel good and stay well Our outdoor whirlpool is just the place to unwind, with a glorious view of the mountains. Admire lush green pastures during the day, and the sparkling starlit sky at night. Relaxation, massages & beauty Enjoy having nothing to do, a good book, or the quiet of the mountains Here in La Villa, we’ve created a new, modern, and professional massage/beauty salon called “Micky.” All guests of the hotel receive a loyalty discount. We’ll be happy to book an appointment for you! They also offer massages in the hotel.